Have you ever been tired all day but can’t sleep at night due to restless legs and cramping muscles? These could be symptoms of having low potassium, or hypokalemia. Potassium regulates your blood pressure and is important in keeping your nerves and muscles (including your heart) in good working condition. Proper treatment can help you feel better faster, and you can even get back some of that energy you’ve been missing throughout the day. If you are experiencing symptoms of low potassium levels, you should contact a healthcare provider immediately. They can perform a blood test to diagnose whether your symptoms are signs of a potassium deficiency. Potassium is present in many common foods. Most often, your kidneys remove excess potassium through the urine to keep your body balanced. In severe potassium deficiency cases, life-threatening paralysis or heart rhythm problems can occur. At the first sign of severe vomiting or heart palpitations, contact a medical professional. A medical professional may recommend dietary supplements, such as oral potassium pills, if you have food allergies or frequently eat on the go. If you’re suffering from low potassium, you can schedule a blood test to better understand your symptoms and treatment options. At FastMed, we want to see you feeling better – and fast! 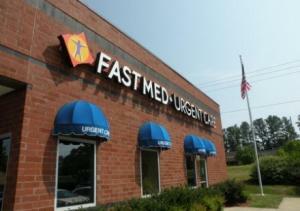 FastMed is dedicated to high-quality, affordable, personal and convenient urgent care. Contact us today if you think your symptoms are a sign of having low potassium.